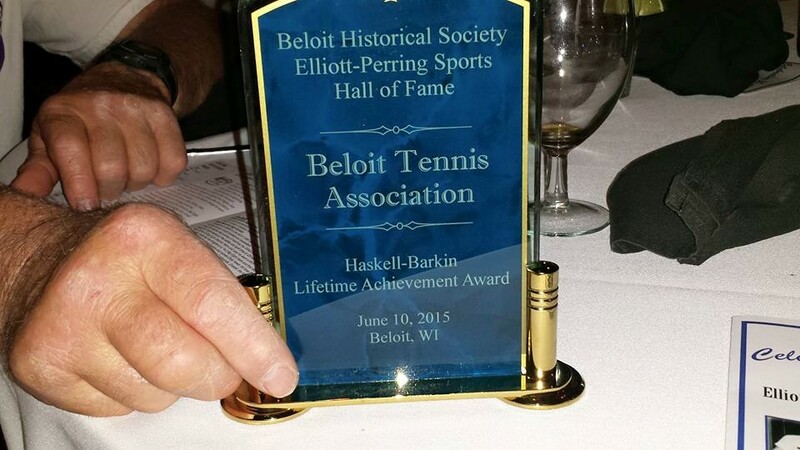 BELOIT TENNIS ASSOCIATION was recognized for its long support of Stateline tennis with the group receiving the 2015 Everett C. Haskell/Bernie Barkin Lifetime Achievement Award. The ceremony was held on June 10, 2015. More information can be found in the Beloit Daily News article. Although the BTA will not be hosting a USTA Midwest Youth Team Tennis program for 2016, there is still a possibility to host the program in 2017. If you are interested in spearheading the program or volunteering as an instructor, please contact the BTA President, Larry Campton. NOTE: There are many other opportunities available for lessons in Beloit to learn to play tennis!!! Please be sure to check out the 2016 Newsletter!!! MORE INFORMATION can be found by clicking on the TABS located in the left sidebar (including a calendar of events)!! !